LockAnEXE is a program lock and simple EXE securtiy tool that lets you 'lock' down executable files including setup files and prevents them from being opened. Spy software and Computer Monitoring software for recording activity on local PC. Monitoring software allows monitoring of family, friends and co-workers. 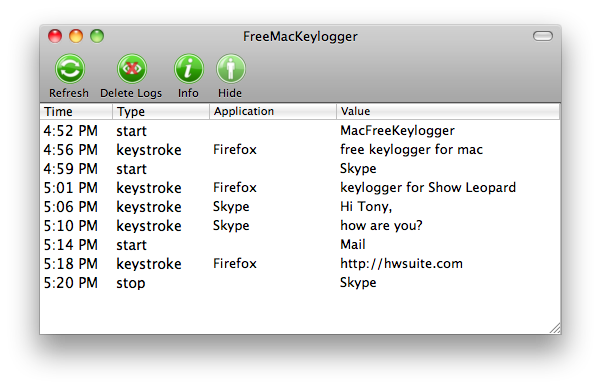 FreeMacKeylogger monitoring software is absolutely free, easy to install and use.